Gold Coast trainer Toby Edmonds has already made an impact with his spring carnival team in Melbourne and Houtzen will be out to add another win for the stable in the Group One Manikato Stakes at Moonee Valley. Houtzen finished a close second to Nature Strip in course record time in the Group Two McEwen Stakes (1000m) last month at the Valley before her fifth to Viddora in the Group One Moir Stakes over the same course and distance a few weeks later. While Houtzen is yet to win this spring in Melbourne, her stablemates Winter Bride and From Within have both struck for stakes successes. Winter Bride has won two Group Three mares’ races at Caulfield while on Saturday From Within won the Listed Alinghi Stakes. 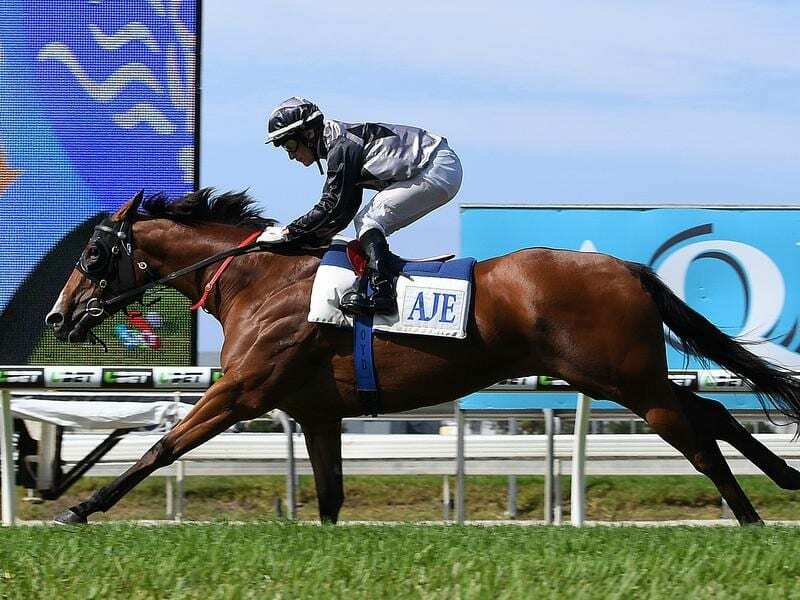 Edmonds has given Houtzen four weeks between races heading into Friday night’s Manikato (1200m) and the mare was taken to the course for a hit-out on Saturday morning. “She worked beautifully,” Edmonds said. “She had a good blow after the gallop. “She’s not the best worker in the world but she got enough out of it. “We’ve given her a month between runs which I feel is quite good. Houtzen was on the third line of betting at $7 on Monday in an all-in market, with the field and barrier draw to be finalised on Tuesday. Kementari was at $4 ahead of three-year-old filly Sunlight at $4.50. “Houtzen was very good against Nature Strip first-up and she had no luck in the Moir,” Edmonds said of Houtzen. Irish trainer Aidan O’Brien has four sprinters among the nominations. One of those, Intelligence Cross, has passed a barrier test to the satisfaction of stewards to be reinstated to race after his slow start when last in the Schillaci Stakes at Caulfield last Saturday week. Racing Victoria’s deputy chief steward Rob Montgomery said Intelligence Cross was given the tick of approval after had a jump-out with two other horses at Werribee on Monday.